In 2017 we were told it was a “rebuild year.” Then they made it to game 7 of the ALCS. In 2018 they traded for the reigning NL MVP Giancarlo Stanton and went for it all. But this time fell even shorter than the year before. 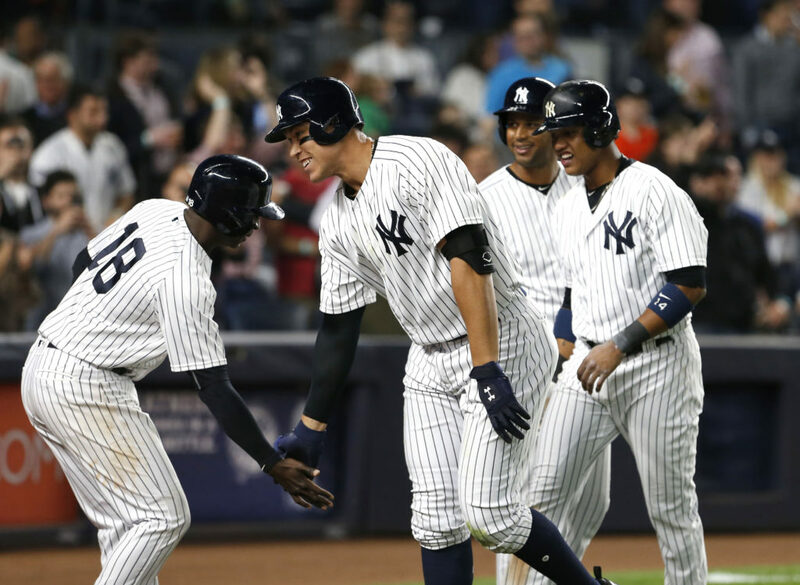 Despite winning 100 games and having one of the most talented lineups in all of baseball, the postseason showed us the New York Yankees aren’t quite there yet. Last offseason Brian Cashman shocked everyone by acquiring Giancarlo Stanton from the Marlins. This offseason can he do it again? 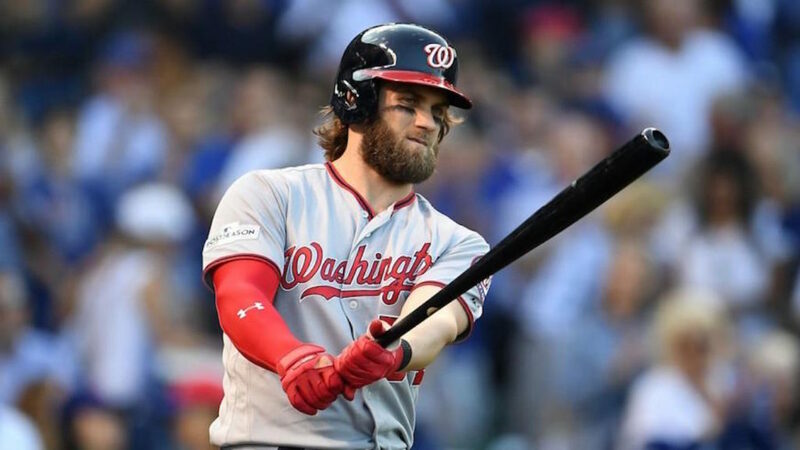 There will no doubt be opportunities to improve this team even more with sluggers like Bryce Harper and Manny Machado hitting the open market and the stove having potential to be hotter than ever if the Mets continue to shop Jacob DeGrom. Chapters 1 and 2 for the Baby Bombers certainly threw the bait. Chapter 3 and 2019 has to be the one where they reel us in. So what’s next? Here are some possibilities in my mind. Last week it was reported that Didi Gregorius will miss the majority of 2019 after undergoing Tommy John surgery. Didi has been one of the team’s top producers the past 2 seasons both offensively and defensively. His 27 homeruns in 2018 are the most in history for a Yankees shortstop. The loss of Didi creates a huge gap in this Yankee lineup and will make it even harder to compete against Boston in the AL East. 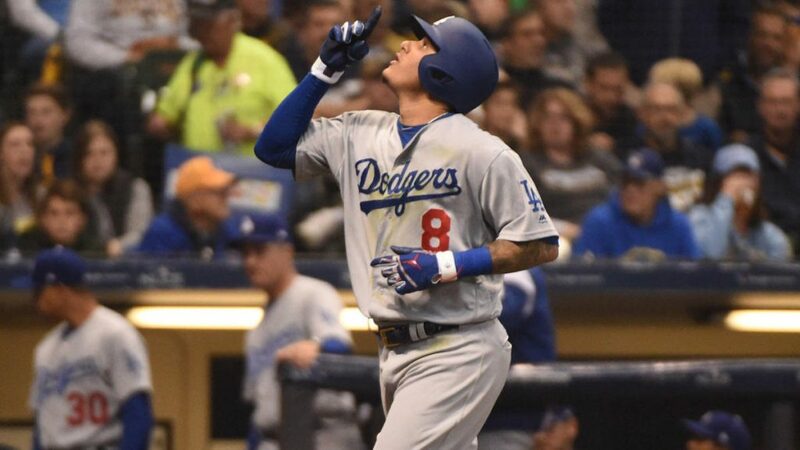 The obvious replacement for Didi would have to be Manny Machado. Let’s not forget Machado to the Yankees rumors has been a constant story line for all of 2018. But the only proposition was, where would he play? Didi is the shortstop and Miguel Andujar has proven himself to be the third baseman of the future (as of now). The loss of our shortstop leaves the position open for Manny Machado to come in and finally become a Yankee. This move would probably be the most crucial if the Yankees actually were to acquire Bryce Harper and Machado in free agency. Stanton’s contract which he signed in Miami before the trade is HUGE and he’s locked in until 2029. We know Brian Cashman has tried to stay away from these monster contracts to keep the payroll reasonable. If they actually were to sign both of the top free agents, Giancarlo’s 13 year $325-million-dollar price tag would have to go. But trading Stanton is more challenging than it looks. Stanton’s contract also comes with a no trade clause which only he can waive to whatever team he wants. Last winter he waived it to only 2 team. Obviously the Yankees were one of them but he also selected the Dodgers. Two things would have to happen in order for this trade to go through. Stanton, a California native would still have to be interested in playing for the Dodgers and Manny Machado would have to leave in free agency to create a need for another power hitter in that lineup. The Dodgers would also be an ideal trade partner for the Yankees because they would help us fill our gaps in the starting rotation. The part of the roster which, without a doubt, is the weakest and the main reason this team was eliminated in 4 games in the ALDS. By either acquiring the arms of Rich Hill or Hyun-Jin Ryu and then throwing in Cody Bellinger, a great utility option with a big bat, would certainly do more than its part to replace Giancarlo Stanton. After watching this team for all of this year it is clear there is one thing missing that puts the Yankees one step behind everyone else. And that is a dominant pitching ace. The Red Sox have one in Chris Sale and the Astros have two with Verlander and Cole. Luis Severino is a very good pitcher but as we’ve seen in the second half of 2018 and in the ALDS he has not done enough to secure himself as a big time ace. Having Sevy as the number 2 rotation guy would be a better spot for him and the team. I believe both of these guy’s (Scherzer and DeGrom) names will be tossed around quite a bit in this offseason. 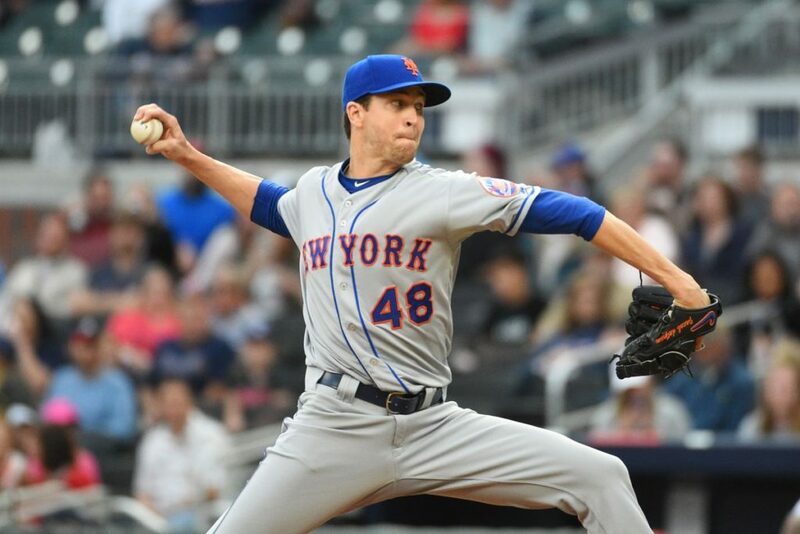 As we all know DeGrom has already been shopped by the Mets and the Nationals have already parted ways with half of their stars and are on the way to what looks like a full blown rebuild. Now remember this last hypothetical is all under the assumption that the first three already happened. 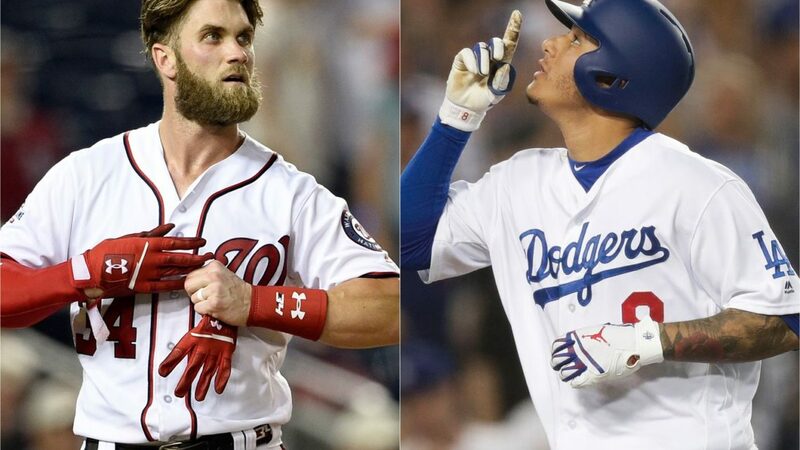 The Yankees have now signed Manny Machado and Bryce Harper and have traded Giancarlo Stanton to the Dodgers for Rich Hill or Hyun-Jin Ryu and more young prospects. At this point Cashman should have no problem trading Miguel Andujar who until this point was considered “off limits.” Under contract remains a handful of young guys with upside such as Luke Voit, Aaron Hicks, Justice Sheffield, Chance Adams, Tyler Wade, Domingo St. German, Estevan Florial and if god need be Clint Frazier to be made available for a packaged deal that would be almost impossible for a rebuilding team to turn down. Before you get your hopes up just know this is all my crazy imagination. But man would this be fun!